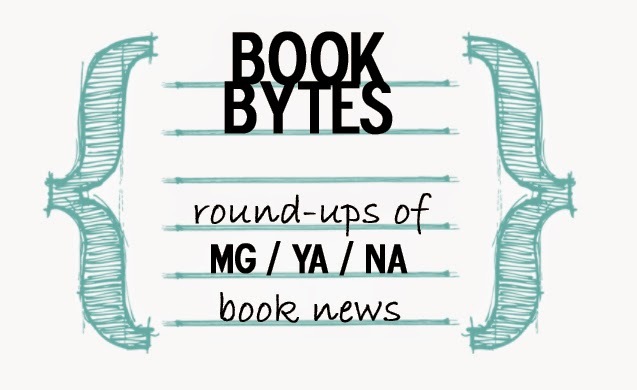 Tubin' Thursdays will hopefully become a regular weekly feature at Christina Reads YA in which I share the latest video from my new booktube channel, The Lushables. It's not always set what video I'll post (though these coming weeks, I'll probably be posting my "Diary of a Book Lush" videos), and I don't want to bombard my book blog subscribers with every video I might make. 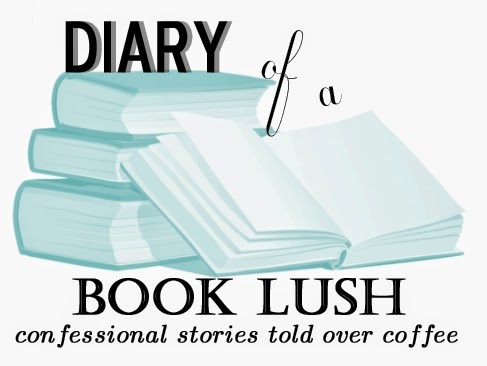 You can think of "Diary of a Book Lush" as me telling you stories about my reading experiences over a cup of coffee or the drink of your choice ;). Here's what's happened so far on the BookTube, and check below the cut for the video & discussion this week! 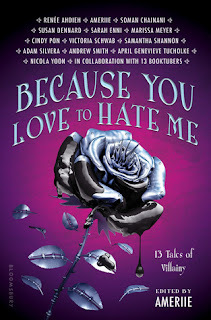 WELCOME TO "DIARY OF A BOOK LUSH," in which I tell you about the stories revolving around my experiences with certain books, which sometimes are more memorable than the book itself. NOT SO TODAY. TODAY I'll BE TALKING ABOUT MY EXPERIENCE WITH THE SEVENTH HARRY POTTER BOOK. Picture this: the summer before eleventh grade, I'm in connecticut for the first time with my best friend, Melissa, for an academic camp. As soon as I get there, I realize that I haven't pre-ordered a copy of the book and if I did, I wasn't home and wouldn't be for weeks. THE HORROR. Somehow I was going to hear spoilers and *AWKWARD FACE* But, luckily for us, we found a Barnes and Noble nearby. Walking in, my god, sometimes it's so easy to forget just how popular Harry Potter is. Basically it was well past one a.m. when we got our copies. I was determined to read through the night. I told Melissa that we should read in the lobby because we needed to stay up ALL NIGHT TO FINISH THIS MASSIVE BOOK AND WE COULD NOT BE TEMPTED TO SLEEP. I was twenty pages or so ahead of her in the first hour. She'd get to a point and chuckle and I'd ask what it was and laugh all over again at one of the twins's lines. It was glorious. Until Melissa said that she needed to get something from our room and would be right back. Then, an hour or two later, I'm past page 200 and wondering, wait, didn't she say that she'd be right back? I go up to our room. Three guesses as to what I find. I debated as to how I wanted to wake her up, but in the end I felt too guilty and wanted to continue reading. By the time I reached around page 500 and it was past 8 o'clock and nothing was keeping me awake but sheer will, oh, I no longer felt guilty. I threw m&ms at her until she woke up. "Whaa--?" "YOU LEFT ME TO READ THIS BY MYSELF---" Eventually she got up to read alongside me. She wasn't even halfway through when I finished around noon. That was when her mom came in and was like, "Do you girls want some Popeyes for lunch?" I came back stuffed and had my trophy nap. Our camp started the next day. Sometime that week I saw this girl sitting on a bench reading Harry Potter and I turned to Melissa and was like, "She's just like you. Noob." All right my fellow book lushes, let me know what your Harry Potter story was like! And if you haven't read Harry Potter yet, shame on you! Thanks, Pam! Yeah, Harry Potter 7 was my first and only midnight bookstore purchase. The B&N (for me too) was packed and full of people all dressed up. Costumes are awesome to see on kids and grownups alike even if I'm not going to join that trend because that's too much effort. Their enthusiasm, though, made me happy too :). Brooke, that's totally okay. I am so behind on so many blogs, I can't expect anything else of any of my readers. Also I only started the BT channel last week :). Hhaha, wow, you read a lot faster than I did to get to 2/3 in 3-4 hours. Wow! I'm impressed. (ha, I like the image of trying to bring HP7 to church; still has the Christian message but seems like most leaders would only want one book there ;)). I can't imagine having to wait through a mass to get back to the book though! I wouldn't have been paying attention to anything, thinking only about it... I'm glad it sounds like you still enjoyed it! The 7th was my favorite one. Oh, Christina! I've fallen a little behind on your blog since NaNoWriMo, so I didn't know you had started a BookTube channel. That's great! I can't wait to see more videos. When the seventh Harry Potter book came out, I was staying with my grandparents for some reason so my grandfather took me to the midnight premiere. I must have read a lot faster then because I remember going to bed around three or four a.m. and being about two-thirds through the book. The next morning I didn't get to finish the book right away because my grandmother wouldn't let me bring it to church, but after I got home, I zipped right through it.